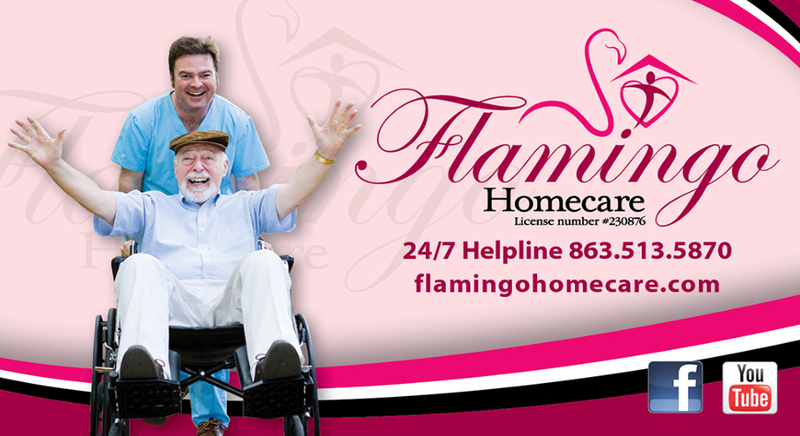 Flamingo Homecare caregivers are called private duty sitters. Private duty sitters are caregivers hired to work with one client, or a couple living in the same home, when the client can no longer remain unsupervised for lengthy periods of time. These include clients at risk from confusion, memory problems, limited mobility or disorientation. The primary responsibilities of our in-home caregivers are to keep the clients safe, assist them, observe, encourage, and prevent further health complications by seeing that clients take care of themselves… usually by eating well, taking prescribed medications, keeping doctor’s appointments, and keeping the premises where they live clean, uncluttered, organized, and up to date on maintenance. Private duty sitters care for the whole house and do housework that clients often can no longer accomplish themselves. Private duty sitting can occur anywhere the client lives: a private house or apartment, assisted living facility, nursing home, rehabilitation center, hospital room, or while under hospice care. Flamingo Homecare private duty sitters are not allowed to do task such as give injections or attend to wound care. These are things only nurses can do under Florida licensing because they are medical tasks. For care at this level, please look for a company that is a home health company, not homemakers and companions.